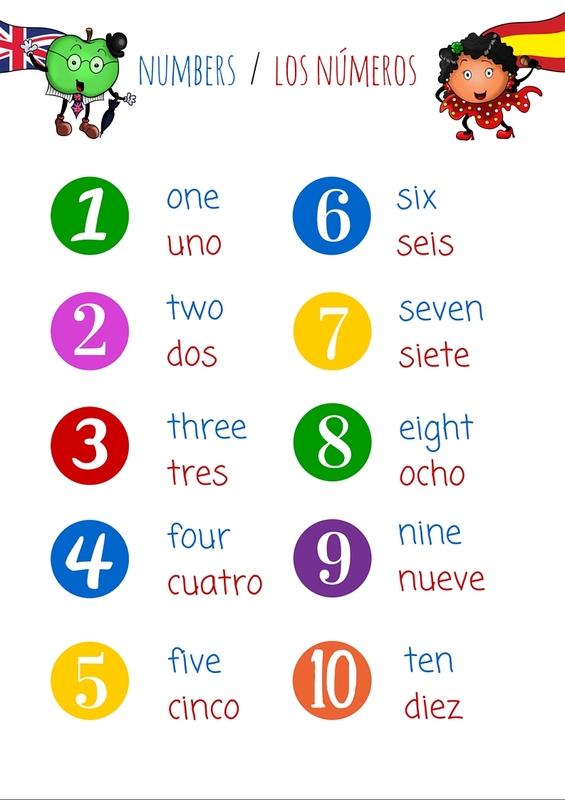 Are you a bilingual family using Spanish and English daily? Are you a parent wanting to teach a little bit of Spanish or English to your children? Or maybe you are a teacher wanting to bring a little of diversity to your foreign language classes? Do you like cooking simple and scrummy recipes? 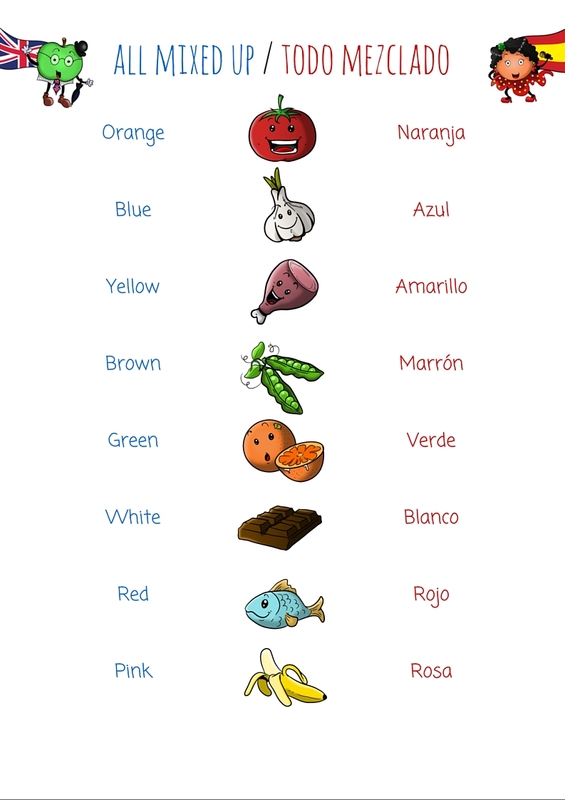 Do you want to have fun with food while learning a language? 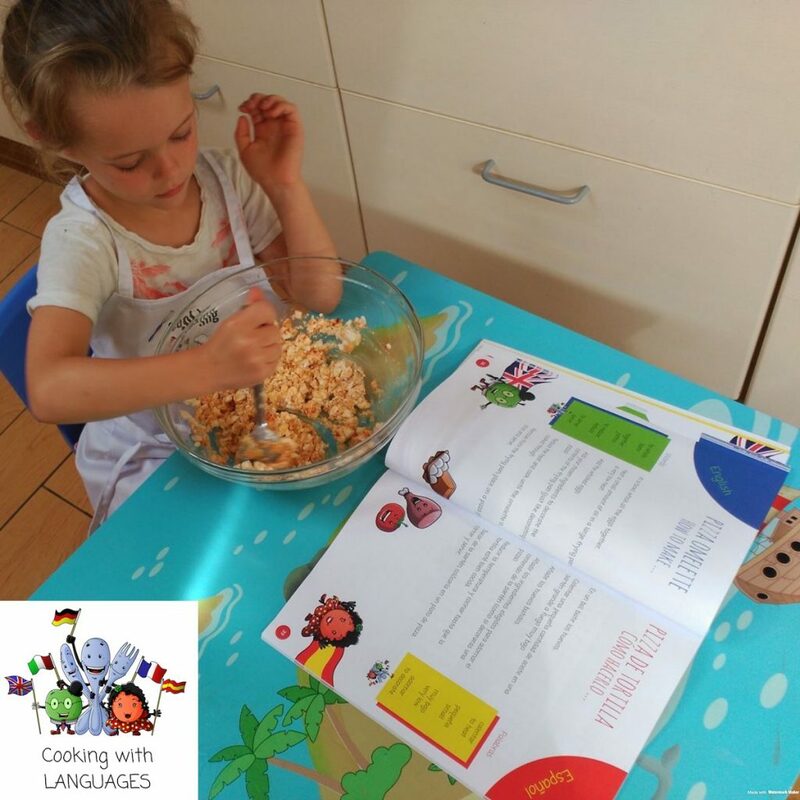 If you answered “Yes” or “Sí” to any of these questions, you will love our wonderful bilingual cookbook with recipes, puzzles and activities. 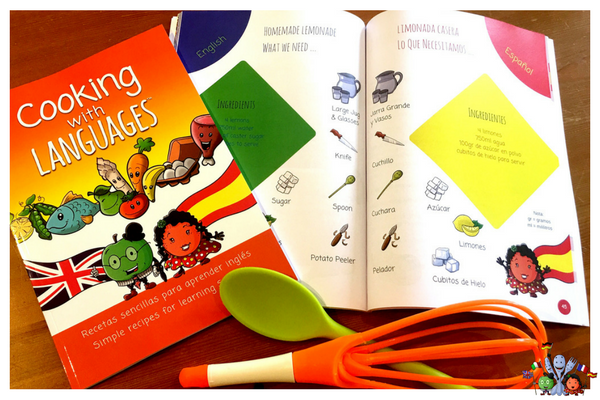 This amazing 84-page bilingual cookbook will guide you through simple recipes while learning new vocabulary and having fun with your children at the kitchen table. 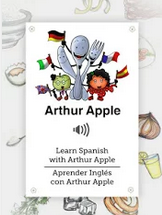 Our fun language assistants, Arthur the Apple and Nerea Naranja will make language learning as easy as following a recipe. 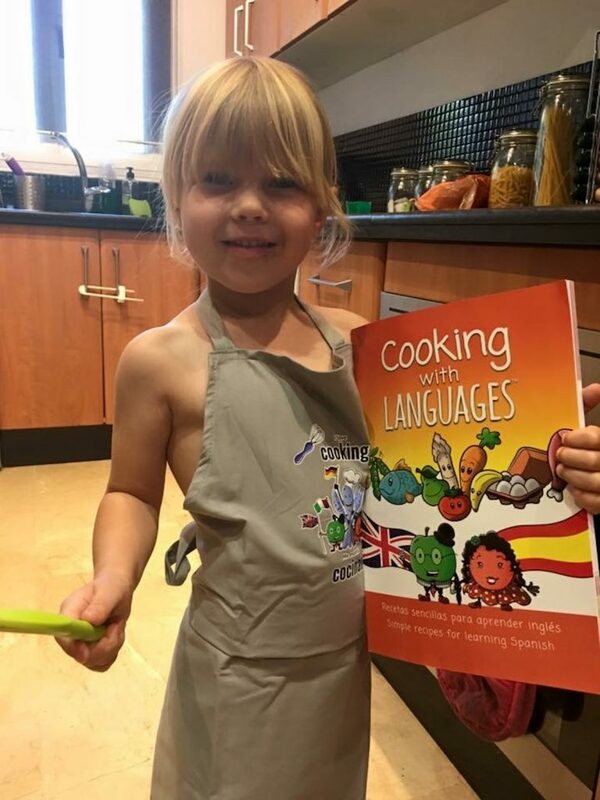 This book is designed for children learning Spanish or English (as a foreign language) and is perfect to compliment any language learning already happening either at school or at home. 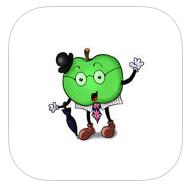 It is suitable for school-aged children but can also be adapted for younger children (if parents or teacher are on hand to help). All recipes include ingredients lists and instructions in both languages (Spanish and English). – Vocabulary sheets: colours, numbers, alphabets and more. 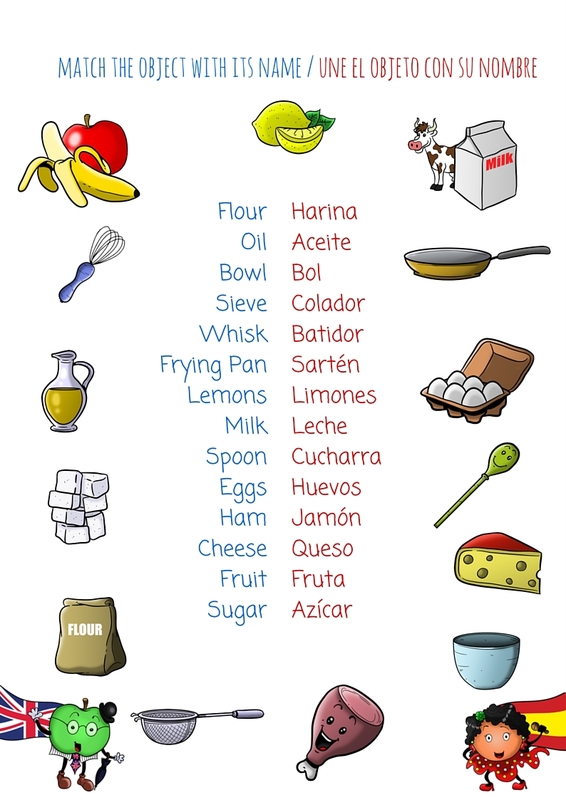 – Worksheets to create your own recipes in Spanish (or English) and shopping lists to photocopy and prepare for each of the recipes before you go shopping. 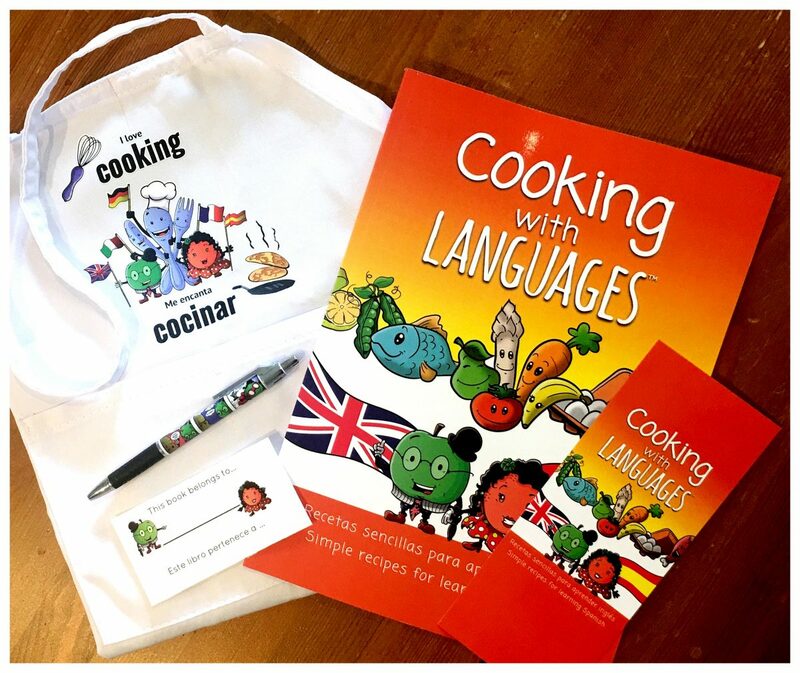 Who is our Bilingual Cookbook for? Whether you are teaching or learning Spanish or English, there is something for everyone who loves to teach or learn, while having fun. 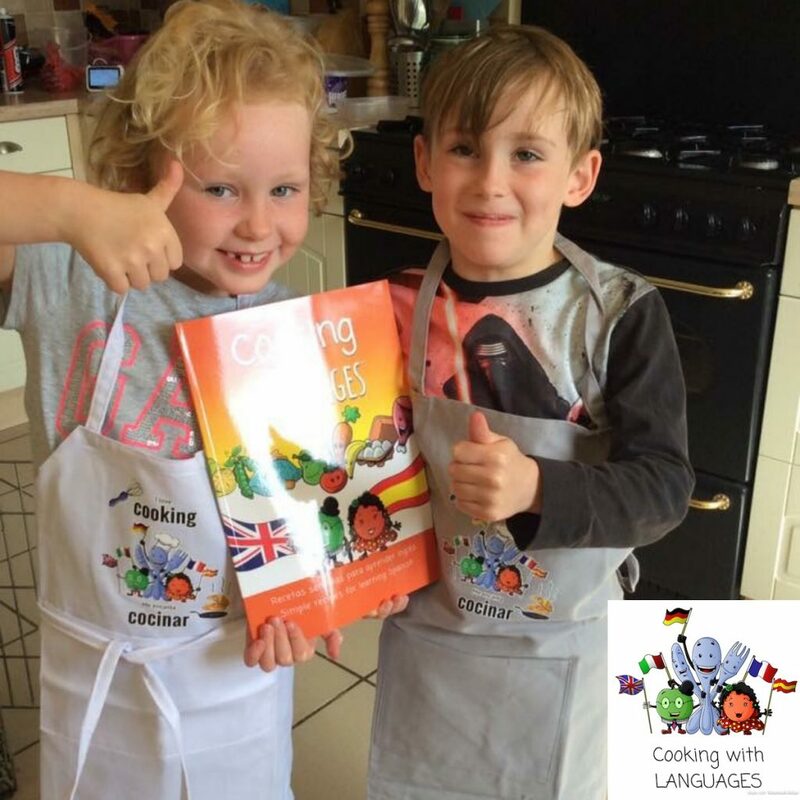 Our language learning activity cookbook is perfect for bilingual families. 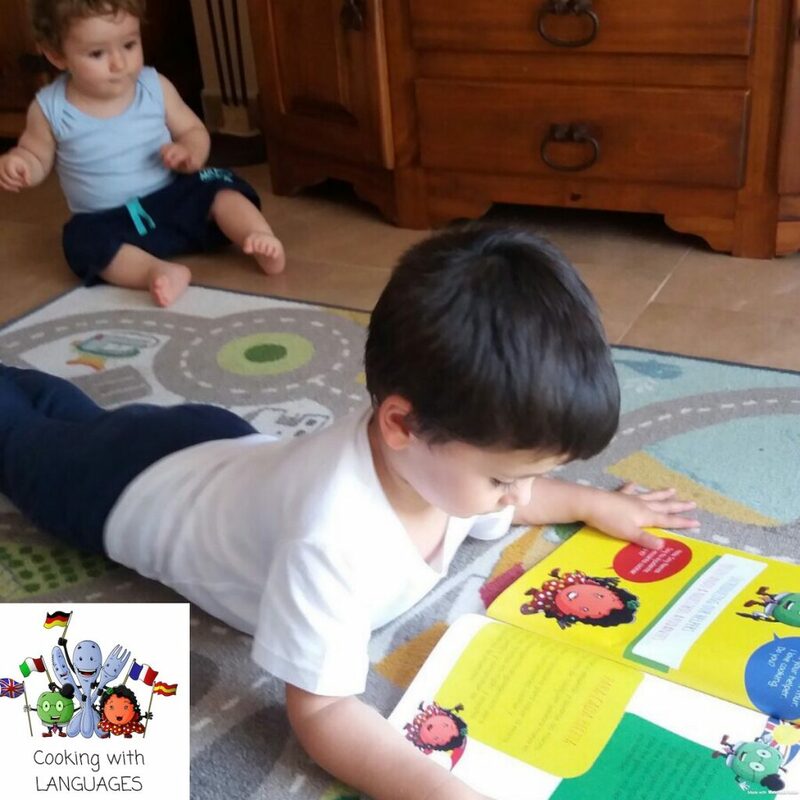 If English or Spanish is your minority language, doing some of these activities at your own pace, give your children an extra boost in the target language. It also enriches their vocabulary. 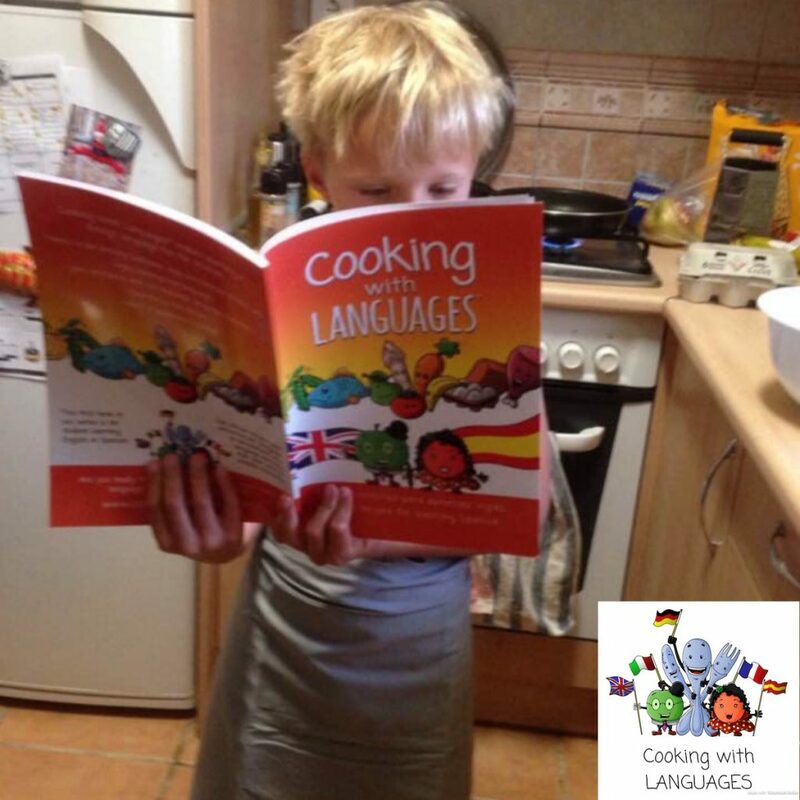 Our language learning activity cookbook is also perfect for language teachers. 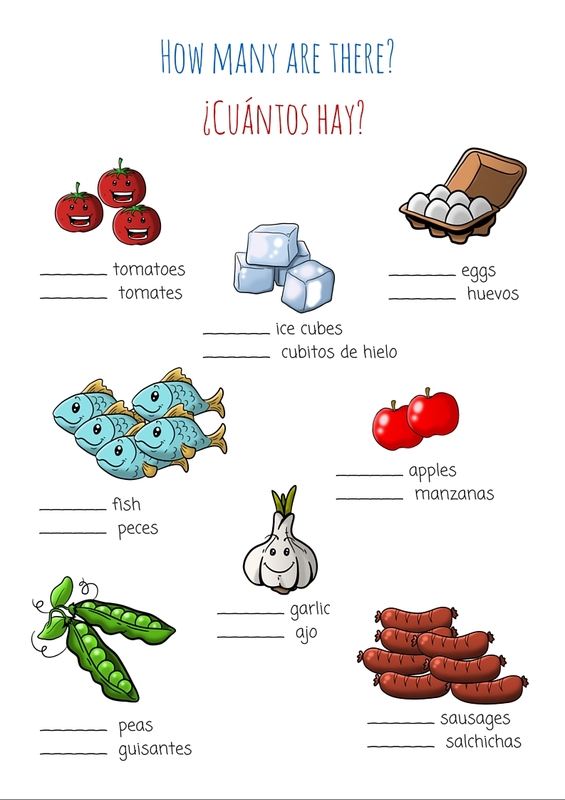 Whether you are teaching Spanish or English as a foreign language or running a language after-school group, you can use the recipes and little games as support for some of your activities. Where can you find our Bilingual Cookbook? You can download a printable version of the cookbook to print at home or at your local copy/print shop. You can also buy a book version (shipping currently only in Europe). 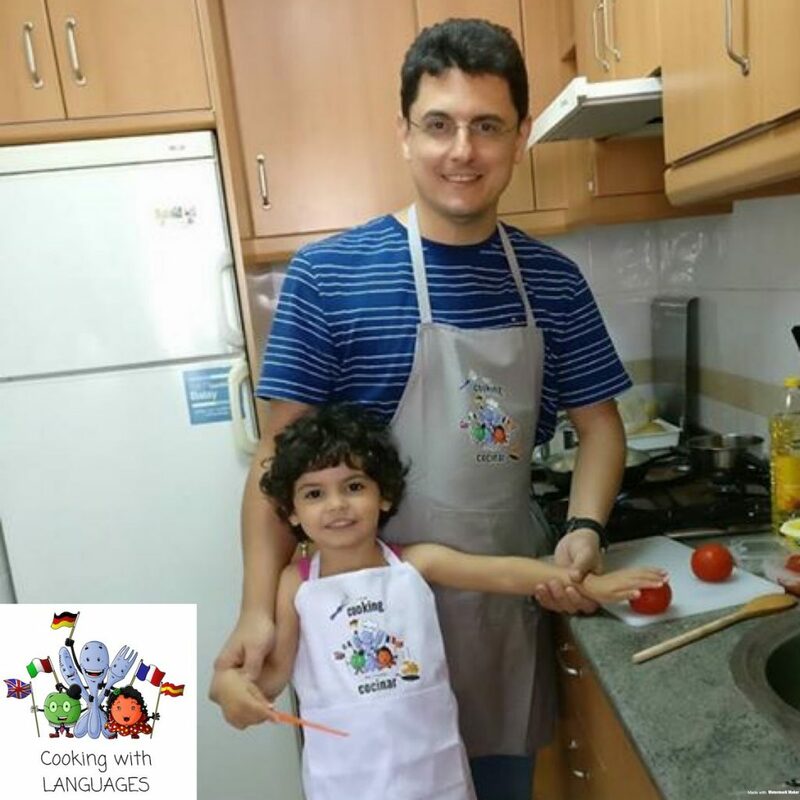 To complement the activity book, you can also order our children’s or adults’ aprons (shipping only in Europe). For more language learning tips, delicious printables, mouth-watering Spanish recipes and updates, don’t forget to follow us on social media: Facebook, Instagram and Pinterest.